One thing that is striking about the recent revolts in Tunisia, Egypt, Libya, Syria, Yemen, and Bahrain is the absence of any anti-American slogans or denunciations of the Great Satan, as the Iranian regime refers to Uncle Sam. On the contrary: signs of pro-American sensibilities abound. Democracy protesters carried homemade placards displaying slogans and statements (sometimes translated into French) of fundamental American rights. The United States’ republican culture, founded in the late eighteenth century, and given a brief burst of energy during the early days of the Obama administration, walked side by side with the protesters. President Obama expressed support for the demonstrators, while Secretary of State Hillary Clinton cautioned Arab leaders that they were sinking in the sand the day before Ben Ali fled Tunisia. One should not forget also that the Tunisian revolt was sparked by the dispatches of U.S. diplomats revealed by WikiLeaks. For many, WikiLeaks was proof that the United States was an imperial power whose consuls never ceased to keep an eye on the world’s nations and their doings; to Arabs and Muslims, however, the leaks were further proof that their regimes had no credibility whatsoever and that they were, indeed, sinking. That’s because the consular reports reflected America’s belief in freedom and equal opportunity; they expressed contempt for palace corruption even as they did business with Ben Ali and other rulers to safeguard their nation’s interests. And then, of course, the United States helped dislodge Libya’s Moammar Qaddafi from power through its military intervention. This is a great moment for both the United States and Muslims around the world to reassess their relations and change negative perceptions that hinder a better dialogue. Americans should try to get out of the crusading mindset that they had inherited from Christian Europe. We may think that the old clashes between Christianity and Islam are things of an ancient past, but all anyone has to do is listen to what many evangelical leaders today say about Islam and its prophet to get a sense of this legacy. Islam, in such speeches and sermons, is portrayed as evil, whereas the Judeo-Christian tradition is considered God’s truth. This religious attitude has a lot to do with the stalemate in Israel and Palestine, for the belief that God has promised Palestinians to Jews and, ultimately, Christians, is well entrenched in these evangelical circles and informs a lot of U.S. policy making. One way to temper such prejudices is to highlight the positive contributions of Arabs and Muslims to American culture, whether through the scientific and commercial advances that were introduced to the West in the Middle Ages, or though the work of Arab or Muslim immigrants. To be sure, American presidents never fail to express pride in America’s Islamic component, but Americans need to do more to show that they care about Muslims in their midst. Maybe Hollywood could help change attitudes. Muslims, on the other hand, have a lot more work to do. One problem in American-Muslim relations is the old American conviction that Islam fosters tyranny. This view was widely shared by America’s Founding Fathers as they saw, righty or wrongly, that the Muslim world, with its despotic sultans and caliphs, was antithetical to the republican spirit of liberty. No sooner was the United States created than it had to contend with the harassment of U.S vessels on trade missions by Muslim corsairs in the Mediterranean. The so-called Barbary states of North Africa demanded tribute for safe passage, but leaders like Thomas Jefferson were at a loss to understand why his newly liberated nation had to pay protection money. This encounter, with its ransoms, skirmishes, and eventual defeat of the Muslims in Tripoli, further strengthened America’s belief in the superiority of its system and worsened its prejudice against Muslims. American missionaries would later flock to the Middle East to convert the locals and, in the process, introduce modern education and health care systems. Americans praised Muslim civilization when warranted, modernized Egypt’s army, and laid the foundations for a new Arab nationalism. The United States was so highly admired during the late 19th century that some Arabs didn’t mind being part of an American mandate. This is one of the glorious moments in American-Muslim relations, one that needs to be widely known. 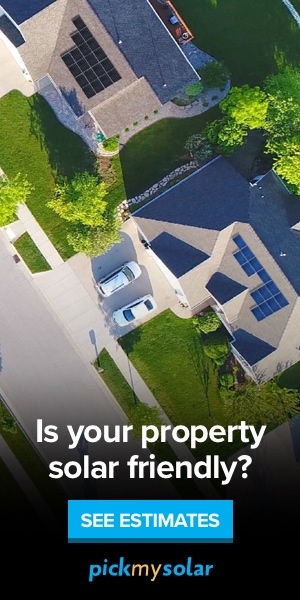 The discovery of oil and the establishment of Israel, however, affected this relationship negatively, and things have spiraled out of control since then. For relations to be restored to a level of high trust and mutual respect, Muslims need to face the facts and realize that old perception of their societies as despotic had some basis in truth. They need to understand that they have only themselves to blame now for their backwardness in almost every cultural and scientific endeavor and that their future rests on rethinking their approach to religion. Sunni Muslims must speak out against the wanton murders of Shiites and Christians in their midst, not just complain about Westerners. They also must accommodate themselves to the historical reality of Israel and realize that all nations—including many Muslim ones today—were born out of violence against native populations. (Many Berbers in my native Morocco still resent Arab invasions to this day.) The history of nation-making is a bloody one, but we can still turn tragedy into an opportunity. Israel has a lot to teach Muslims with its know-how and democratic spirit, while Israelis need to temper their biblical prejudices and break out of their quarantine and tap into the huge Arab market to grow stronger and more stable. 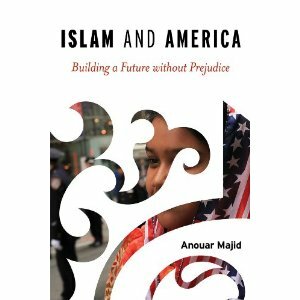 Anouar Majid is the author of Islam and America: Building a Future Without Prejudice (Rowman & Littlefield, 2012). He is director of the Center for Global Humanities at the University of New England in Maine.